It's the virtual assistant's world now. The operating system is just living in it. Something interesting happened this week at CES. I'm not talking about the flashy keynotes, the annual TV trot-out, or even the gyrating robot strippers (though, okay, that last one sure was...something). No — I'm talking about the underlying thread seen throughout many of the convention's more significant announcements and quite literally placarded all over the place. 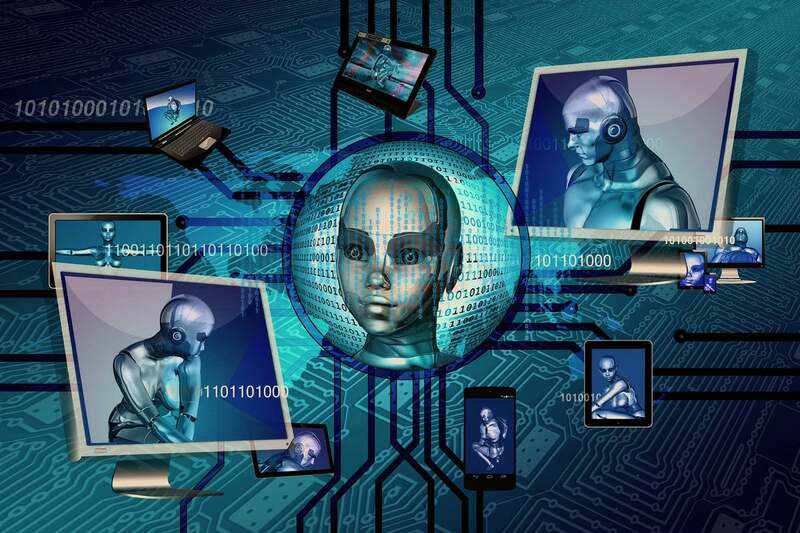 Think of it as a battle cry: The virtual assistant has arrived. Everything else is now secondary. It's no exaggeration: As far as Google's concerned, the coming battle is all about artificial intelligence and the vessels that deliver it. 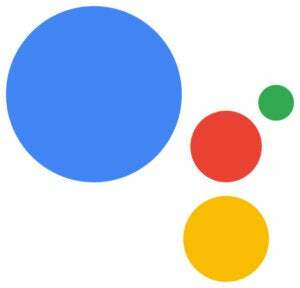 The company's made it clear that getting partners and users on board with Google Assistant in as many ways as possible is its core focus moving forward — and, as part of that, the once-critical operating system is becoming far less pivotal. Unlike its classic rivals Apple and Microsoft, of course, Google has always been a cross-platform company — one that ultimately wants you to use its services in any manner, even if you won't use its operating system alongside them. But even so, the level of resources and attention we're starting to see devoted to Assistant marks a seismic shift. It truly is the start of a post-OS mentality, where the question of what operating system you use takes a back seat to that of which virtual assistant you allow into your life. To be clear, this is a trend we've been seeing take shape for some time — and it all ties in naturally to the notion of Google's newfound focus on itself, not Android or Chrome OS, as a primary ecosystem. Think back to last fall's splashy Google hardware event. Sure, we saw a new phone, a new laptop, a couple new smart speakers, and a new set of earbuds. But the common theme and main focus among all those products was their integration of Google Assistant and how they seamlessly showcased the company's A.I. smarts. At CES this week, Google's singular focus on Assistant took that same campaign up a notch. It's really as much a message to manufacturers as it is to consumers: This is where we're going. Get on board or get left behind. And it's no wonder: Google's entire business revolves around the notion of online ads. Everything it does — including, yes, the sales of Android phones — ultimately serves to reinforce that business. But as people spend less time surfing the open web and more time using apps and connected devices, the future of the online ad industry is being threatened by irrelevance. Google Assistant, on the other hand, is designed to be everywhere. It's on your phone, yes, but it's also on its way to your TV, your headphones, and every inch of your home via a variety of smart speakers and displays. It and its rivals are rapidly making their way into businesses and the enterprise. As of this week, Assistant will even be in your car, thanks to newly announced Android Auto integration. It's no stretch to think of Assistant as the next-gen version of that classic Google search box — a version that isn't stuck on your screen but instead follows you everywhere and works with or without a visual accompaniment. That distinction matters. According to new research by consulting firm Accenture, two-thirds of folks who own a smart speaker use their phones less as a result — for entertainment, for online shopping, and for information-seeking in general. When you consider Google's own assertion that global usage of Google Home was nine times higher in the 2017 holiday season than in the previous year, it's easy to see why the company's doing everything it can to make sure it stakes its claim in this burgeoning new realm. Maybe that's why Google and Amazon alike practically gave their virtual-assistant-packing smart speakers away over the holidays. With the rock-bottom prices during December, analyst estimates suggest both companies broke even or actually lost money on their respective Home Mini and Echo Dot sales. And the tactic seems to have worked: Google says it's sold an average of "more than one Google Home device every second" since the Mini's arrival, while Amazon says the Echo Dot was the top-selling product on its site for the holiday season, with "millions" being shipped. Clearly, the goal for both companies is about more than turning an immediate profit: It's about getting people invested in the virtual assistant's ecosystem and committed to using it as their primary source of information. Amazon may have had the benefit of being first to the smart speaker race — and to be sure, the company shares Google's ambition to have its assistant exist "everywhere" — but Google is armed with a few powerful weapons no one, even Amazon, can match. Think about it: Google has its suite of widely adopted services — Gmail, Photos, Google Calendar, and so on — that integrate seamlessly with Assistant in significant ways. It has its sprawling and unparalleled database of knowledge, both general and personalized (thanks to the existence of all those aforementioned services), and all of that info is available to Assistant and able to be provided instantly on demand. And it has an established army of Android devices and Chromebooks all around the world, the former of which already feature Assistant preloaded and the latter of which will likely follow suit soon. In terms of reach, ecosystem, and the resulting value provided, it's tough to see Amazon being able to keep up over time. Now, in an ideal scenario, would Google still like you to use its own operating systems in addition to Assistant? Of course it would. If you're on Android or Chrome OS, after all — and especially if you're on Google's own products within those platforms — it can exert greater control over how its services are integrated into your device and what type of experience you have. But as this week reminds us, the company's central goal has grown to be much bigger than any one operating system or type of product. The company's central goal ensures its survival as the world's default search engine — even in a world where folks frequently don't search in a traditional way. The company's central goal is all about Assistant. And the once-critical operating system is now just one of many satellites surrounding it.